The Gospel of Thomas is, according to itself, "the secret sayings which the living Jesus spoke and which Didymos [means Twin] Judas Thomas wrote down." Note: There is an infancy gospel of Thomas containing invented stories about Jesus' childhood. That is not the same as the one we are discussing. There are 114 sayings in the Gospel of Thomas. Unlike the traditional Gospels, no stories are included. It's just the sayings, nothing else. It is a recent find. Fragments of Thomas' gospel were discovered around 1900 among the Oxyrhynchus papyri [see sidebar]. A full version was discovered in 1945 at Nag Hammadi, along with numerous gnostic and other religious texts. It is part of a larger codex, written in Coptic (Egyptian), and consists of 114 sayings. Historians didn't realize it was the Gospel of Thomas until they found the full text at Nag Hammadi. The Oxyrhynchus Papyri are an interesting story in themselves. They are actually papyri—reed papers—gathered from an ancient dump site! Oxyrhynchus was a prosperous city during the last couple centuries BC. It was the 3rd largest city in Egypt. It had to be abandoned in the mid-7th century when Egypt could no longer sustain the canal system upon which Oxyrhynchus depended. Egypt, as you probably realize, is a very dry place. Oxyrhynchus, because it was supplied by a canal and not by the Nile, was not subject to annual floods. Therefore, the garbage they dump simply settled into the sand and was preserved in the arid climate. 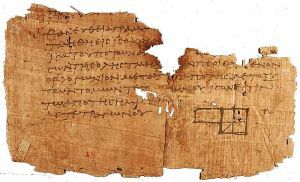 Eventually, in 1897 and 1903, portions of the Gospel of Thomas were found among those papyri. Talk about successful dumpster diving! Like many of the traditional New Testament books, it is very difficult to date this gospel. Like the traditional four Gospels, how scholars date it depends a lot more on what they believe about the Gospel than on the actual evidence. There's a revival of interest in gnosticism today, stirred by a few authors; most notably, Elaine Pagels, Bart Ehrman, and Dan Brown (The Da Vinci Code). There's nothing historical about the gnosticism portrayed by these authors, and their history is fabricated from speculation and wishful thinking, but that has not stopped them from taking their case to an ignorant public. 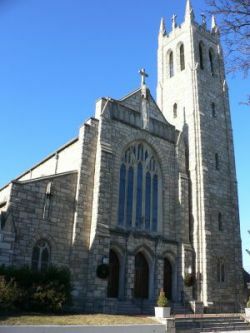 The Gospel of Thomas is a favorite of theirs, and numerous scholars advance it as representative of an alternative strain of early Christianity. There are those that would argue that it might have come from Thomas. What such people miss is the general tenor of Christian history. There is a general fellowship that existed among the churches started by Peter, Paul, John, and also James in Jerusalem. If the apostle Thomas had written a gospel like this one, those churches would have known about it. There were no "loose cannon" apostles. There is very strong tradition that the apostle Thomas went to India with the Gospel, and that tradition is supported by Christians in India today who claim to have descended from churches he started. We would not have found a Gospel from Thomas in Egypt, written in Coptic! Is the Gospel of Thomas Worth Reading for Christians? The sayings do bear some similarity to the sayings of Christ found in the Bible. How much similarity depends on your perspective. There is enough similarity to make it clear that the writer of this ancient gospel had heard some of the same sayings found in the Bible; however, it clearly is not written from a traditional Christian perspective. To me, the sayings of the Gospel of Thomas bear a lot more resemblance to ancient Chinese writings I've seen. Both the Gospel of Thomas and the Chinese writings share a similar love for paradox. I have to say, I'm not sure what I will do with a teaching like that. It sounds deep, but it really doesn't say anything and could be symbolically interpreted into almost anything. I find sayings like "turn the other cheek" (Matt. 5:39) and "flee youthful lusts" (2 Tim. 2:22) to be much easier to follow. As a Christian, then, my personal response to the Gospel of Thomas was the same as my response to the Chinese writings. It looks like a lot of fun to write such things, and you feel wise and philosophical repeating these sayings, but they have very little to do with reality. They're more for gurus congratulating each other on their wisdom; I see no practical benefit. So to say "This is a gnostic gospel" is not always an easy thing to do. As I said earlier, the Gospel of Thomas is only 114 sayings long. I can't reproduce it here because I don't have an English translation that isn't copyrighted. You can get it on this page. Jesus said to them, "When you make the two one, and when you make the inside like the outside and the outside like the inside, and the above like the below, and when you make the male and female one and the same, so that the male not be male nor the female female; and when you fashion eyes in the place of an eye, and a hand in the place of a hand … then you will enter" (Saying 22). Turns out this passage is quoted in 2 Clement! I talk about the implications of that here. I think, according to the other Gospels, Jesus' answer would have been a simple "yes." It seems much simpler to me to understand the idea of becoming like a child than to "make the inside like the outside and the outside like the inside." I'm a little lost, too, on the idea of fashioning "eyes in the place of an eye." Profound; but it can mean anything. Jesus said, "Love your brother like your soul, guard him like the pupil of your eye" (Saying 25). Much better! I had no problems interpreting this one! This is similar to the traditional Gospels, but it adds a saying that isn't true. Physicians heal those who know them all the time. They said to Jesus, "Come, let us pray today, and let us fast." Jesus said, "What is the sin that I have committed, or wherein I have been defeated? But when the bridegroom leaves the bridal chamber, then let them fast and pray" (Saying 104). There are those who argue that these sayings actually predate our Gospels, seeming more primitive. I'm not sure what they're seeing that would make them say this, except their own hope that the historical Jesus isn't real. I am not your Master. Because you have drunk, you will become intoxicated by the bubbling spring which I have measured out. As I said earlier, there are people trying to revive gnosticism today. They would like to the Gospel of Thomas to mean something. They would like some alternative history that doesn't include a Christ who is Lord over all and demands that you forsake the world to follow him. When you get down to actually reading the things they reference, though, you find out there's no substance. Jesus said, "The Kingdom is like a man who had a [hidden] treasure in his field without knowing it. And [after] he died, he left it to his son. The son did not know (about the treasure). He inherited the field and sold [it]. And the one who bought it went plowing and found the treasure. He began to lend money at interest to whomever he wished" (Saying 109, brackets in original). There is no application to this version from the Gospel of Thomas. What are you going to do with this? Make sure that if you loan money, you get interest for it? Is this simply a parable reminding us to tell our children about the spiritual treasures we have? I like Matthew's version far better. In Matthew's Gospel, there is no doubt about the point. The kingdom of heaven is worth selling everything for. Forsake the world; forsake your business; forsake everything; just make sure you obtain the kingdom of God. I would argue that the Gospel of Thomas is exactly what it appears to be. It is a list of sayings put together by a gnostic, or someone strongly influenced by gnosticism, probably in the late 2nd century. The gnostics were known for constantly coming up with some new revelation or teaching to distinguish themselves from the other schools of gnosticism. Unlike the Church, which clung to apostolic tradition as a standard of unity never to be left behind, the gnostics lived in constant competition with one another for adherents. Thus, it is no surprise that someone, seeking following for himself, would seek to adapt the words of Christ into the kind of philosophical speculation that we find in the Gospel of Thomas. However, to seek to make it Christian, or to attribute it to one of the apostles, is to violate what is clear and known about the apostles and the apostolic churches.